The Belmont handle back dining chair brings a modern look to your dining experience with the quirky addition of a chrome handle attached to the back of the chair for convenience and style. 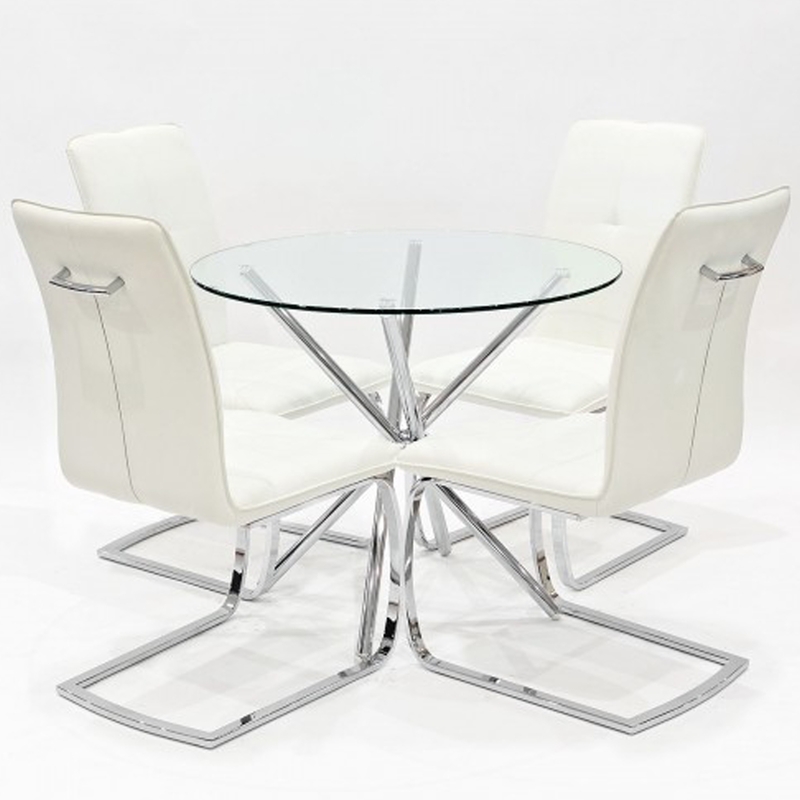 Supported by a strong sprung steel frame and upholstered in a black, white or grey PU material. Alongside the criss cross table with a chrome base and round glass table top this dining set will fit perfectly in your home.